Rice is a staple in most GF/FM households. GF pastas are very handy but also more expensive and they aren’t all made equal. Buying a rice cooker was the worst mistake we ever made. Yes, it was cheap(ish) but it always burnt the rice and it was always slightly gluggy, even if you followed the water to rice ratio. This should not fail you. 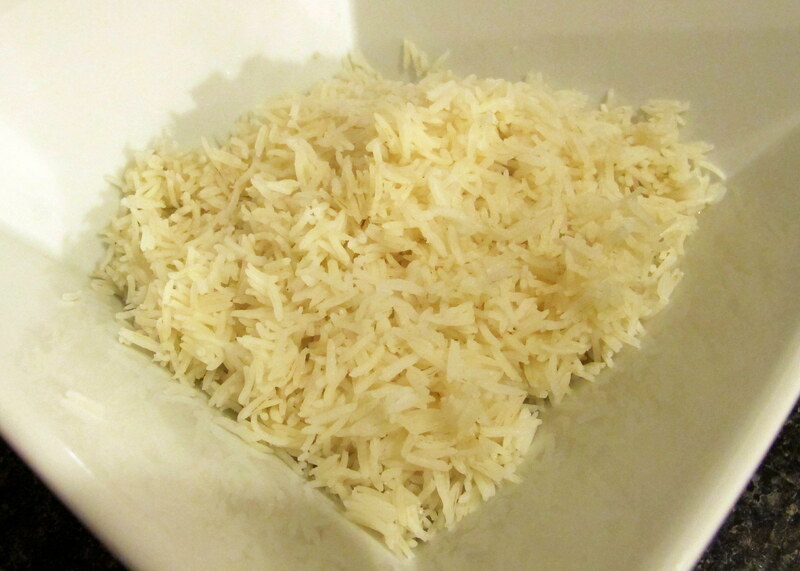 Since perfecting this technique, we have not had anything but perfect, fluffy rice. WHITE rice. We haven’t perfected this for brown rice, yet. I imagine it will take more water and more time. Step 1: Wash your rice! In a bowl, place a measured quantity of dry rice and proceed to fill the bowl with water, swish it around and top it out until the water from the bowl runs clear. It should only take about 5 minutes, absolute max. Depending on how much rice you have, of course. This step removes the starchy outer layer of the rice grains, which will cause your finished rice to be starchy and have a thickened coating. Not very nice. 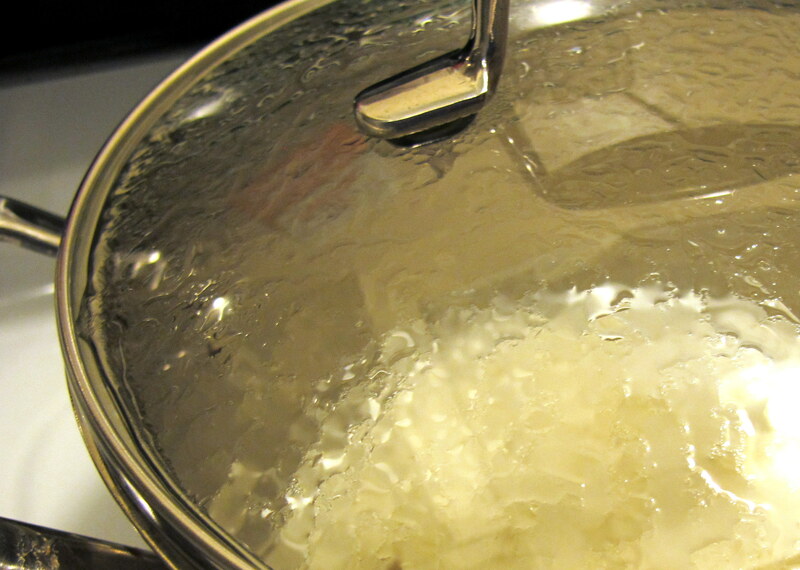 Pour the uncooked rice into a pot and pour in water in a 1:1 ratio. 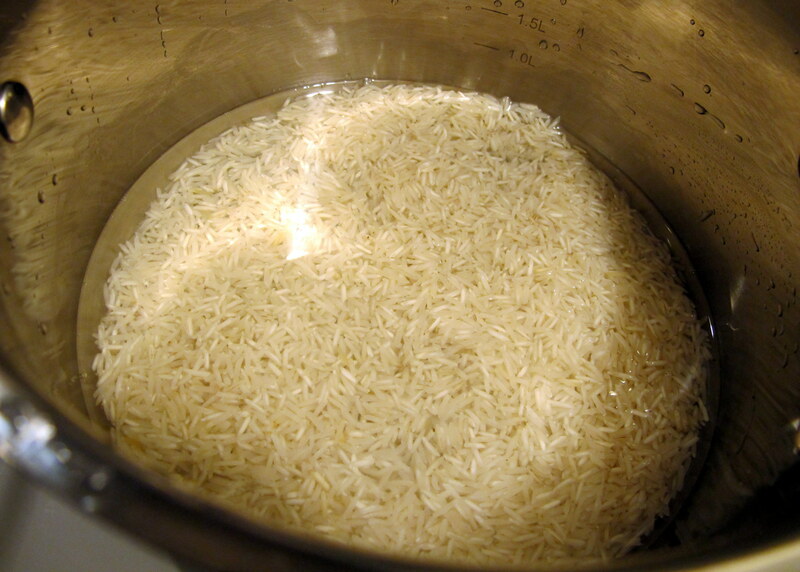 Essentially, if you washed 1 cup of rice, pour 1 cup of water into the pot. Easy done. Place the pot on the stove and put the lid on. NOW. Do not forget this or remove it inadvertently while cooking. The lid keeps all the steam in the pot, which helps with the cooking. Bring the pot to the boil, let it simmer for 10-20 seconds and then turn it down to a low-medium setting. We turn our stove so that the dial is only a 1/4 turn from the off setting. Set your timer for 15 minutes from the moment the water boils. As easy as it sounds. DO NOT remove the lid yet. Simply take the pot off the hot stove top and let it sit for 15 minutes (set your timer). After the second 15 minute wait, your rice should be finished. You may now remove the lid! What should emerge is fluffy, soft white rice that hasn’t stuck to the bottom of the pot. A side note – We have Scanpan and Raco cookware – pretty reasonable quality, not super heavy duty but definitely much better than cheap cookware – if you have lightweight, cheap cookware then I don’t know how this will affect the rice. This entry was posted in Not A Recipe, Tips and Tricks and tagged appetiser, dinner, entree, food, fructose friendly, fructose malabsorption, gluten free, home-cooked, homemade, low fructose, rice, rice cooker, saucepan, vegetarian, white rice. Bookmark the permalink.